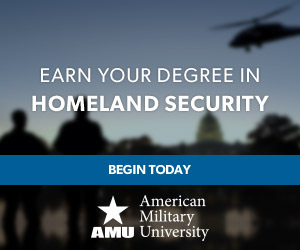 Note: The opinions and comments stated in the following article and views expressed in any article or by any contributor to In Homeland Security, do not represent the views of American Military University, American Public University System, its management or employees. Last month, JPMorgan Chase Chairman and CEO Jamie Dimon issued a damaging critique on the state of American politics. He said that partisan politics is preventing America from growing economically and reaching its full potential. Dimon praised the tax cuts and regulatory reforms as legislative victories, but other bad policy decisions have prevented the United States from reaching its full potential. That is why the U.S. economy is at 2 percent growth rate, he said. A well-known example of political partisanship was the recent 35-day partial government shutdown over the President’s demand to build a wall on our southern border. Republicans backed President’s Trump’s demand for $5.6 billion for the wall, while Democrats refused to provide that amount. Also, partisan infighting did not produce a comprehensive immigration reform bill, something that hasn’t been achieved since 1986. Since then, millions of illegal immigrants allegedly have flooded the southern border, and thousands of Central Americans in migrant caravans are heading toward the United States. Lost in the debate is Mexico’s and Central America’s culpability for why many of their citizens leave their home country for the U.S. The Mexican government is currently assisting the migrant caravans’ trek toward the U.S. border. A temporary agreement has led to the re-opening of the government until February 15. A bipartisan group of lawmakers is trying to reconcile their vast differences before next Friday. If not, there could be another shutdown. Besides the wall, another point of contention is the Deferred Action for Childhood Arrivals (DACA), the so-called Dream Act for small children, now adults, who were illegally brought to the U.S. by their parents. Also, the Deferred Action for Parents of Americans and Lawful Permanent Residents grants deferred legal status to illegal immigrants who’ve lived in the U.S. since 2010 and have children born in this country. One of the deepest divisions between the Democrats and Republicans is how to handle the U.S. economy. As the Democratic Party begins its quest for a candidate to challenge President Trump in 2020, some potential candidates have embraced a strong socialist platform. They believe that is the winning formula for retaking the White House. As the aspirants to the White House announce their intentions, some have championed “Medicare for all” to ensure that all Americans have access to quality healthcare at a reasonable cost. Senator Kamala Harris of California, for example, announced her support for universal healthcare in her campaign rollout. She then doubled down on her support at a CNN town hall when she announced that she would eliminate all private health insurance. “Let’s eliminate all of that. Let’s move on,” Harris said. Many of these same Democrats say the country supports a single payer or “Medicare for all” healthcare system. The Kaiser Family Foundation released a poll that found almost 74% of Americans support this idea. The only problem with that figure is it depends on how the question is presented. Once individuals were told that they would not be able to keep their personal healthcare plan — and that taxes would have to be raised significantly to pay for the program — the number of supporters plummeted precipitously. Two reports indicate that the costs of “Medicare for all” would be astronomical. A report by the Mercatus Center at George Mason University, founded by the conservative Koch brothers, calculated that such a healthcare program would cost in excess of $32.6 trillion in its first 10 years. This report received strong backing, especially from Senator Bernie Sanders (I-VT) who ran his 2016 presidential campaign on the signature issue of universal healthcare. But he complained that the Mercatus analysis was deeply flawed because one of the Koch brothers serves on its board of directors and has also donated to the Mercatus Foundation. Two years earlier, the liberal-leaning Urban Institute determined that a Medicare for all plan would cost over $32 trillion between 2017 and 2026. However, the $15.3 trillion in taxes raised by Sanders’ plan over the same period would fall far short of covering the cost of a universal healthcare program. Besides Medicare for all, progressive candidates have advocated free college, which the Tax Policy Center has estimated would cost $807 billion over the next decade. The liberal Center on Budget and Policy Prioritiescalculated that a guaranteed job plan at $15 per hour plus benefits would cost $6.8 trillion over the next decade. These are only a few of the proposals which, if enacted, would have a huge impact on the U.S. economy. In addition, consider the various tax hikes proposed by Democrats. Senator Elizabeth Warren (D-MA) is floating a 2% wealth tax on assets worth over $50 million. Similarly, freshman Representative Alexandria Ocasio-Cortez of New York has proposed a 70% tax on anyone making more than $10 million a year. She also favors a “Green New Deal (GND),” which would have the U.S. use 100% renewable energy by 2030. Currently, only 17% of the nation’s energy supply comes from renewable sources, such as wind and solar power. How to reach Cortez’s stated goal in the next 11 years has never been outlined. 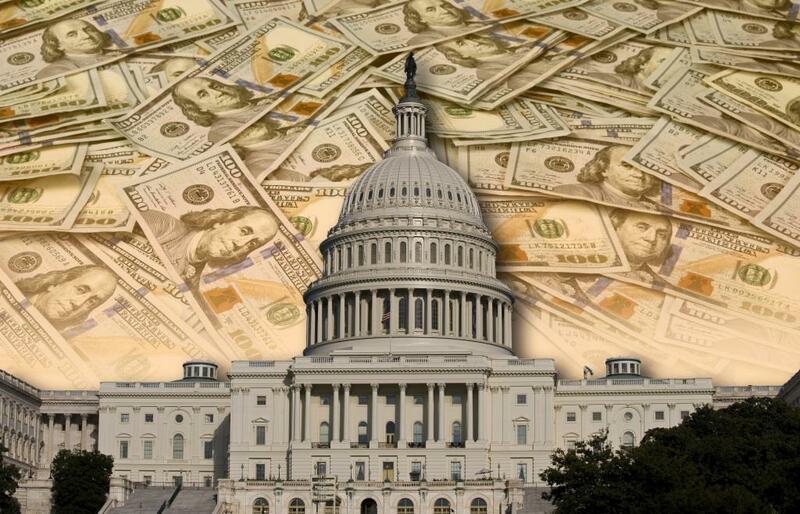 All of the proposed legislation would add significantly to the national debt. But neither political party nor any candidate for president has even remotely addressed the debt crisis. Both Republicans and Democrats consistently avoid addressing this fiscal catastrophe. If left unchecked, our massive debt will soon dramatically slow economic growth. If the economy is improving and the GDP is growing at around 3%, why is the national debt rising? The Congressional Budget Office (CBO) has reported since January 2017 that the expansion of the national debt is due primarily to increases in entitlements spending, such as Social Security, Medicare, Medicaid, interest on the national debt and the ever-increasing costs of healthcare. It’s unfortunate that both parties can’t seem to agree on reforming entitlements spending. The Democrats want to increase expenditures for these social programs and the Republicans simply want to ignore the debt altogether. As Dimon noted, partisan politics has retarded economic growth. If we don’t seek bipartisan solutions now, we will all definitely face the consequences later.